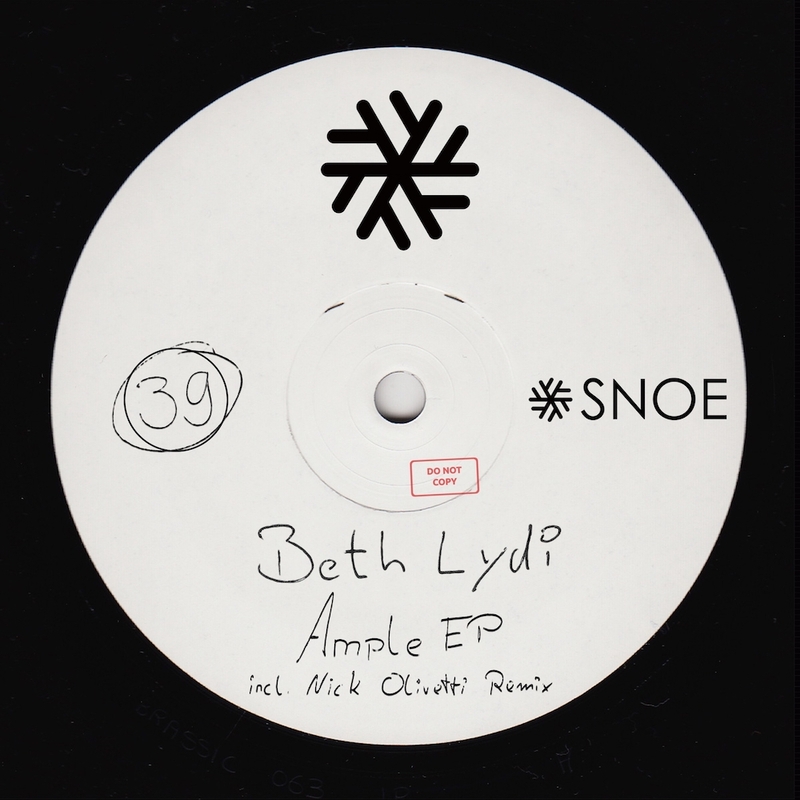 Label boss Beth Lydi kicks off SNOE’s new year with a bang. The two original tracks are a perfect synthesis of energy and freshness to help you start your year right. “Ample” is full of naughty attitude, the rolling bassline meets the layered, fierce synths in a frenzy of raw ecstasy climaxing in the cleverly constructed break. “Done And Dusted” strips it a little bit back, but doesn’t lack anything when it comes to intenseness. It is tight drums bouncing around the percussions, a funked up bassline leading way to the quirky synths building heavy momentum towards a beautiful and dreamlike break that swipes you off your feet much like a magic carpet taking you on a groovy ride. None other than Nick Olivetti has joined in, remixing “Ample”. Nick is one of the hottest new names around at the moment, delivering one track after another that just ooze of dance floor madness. His take on the track brings proper heat, with his gritty style shining through the intense build-ups and bouncy groove combined with the popping elements from the original and quirky synths.